Jeep recently announced what could possibly be the final year of the JK Wrangler. 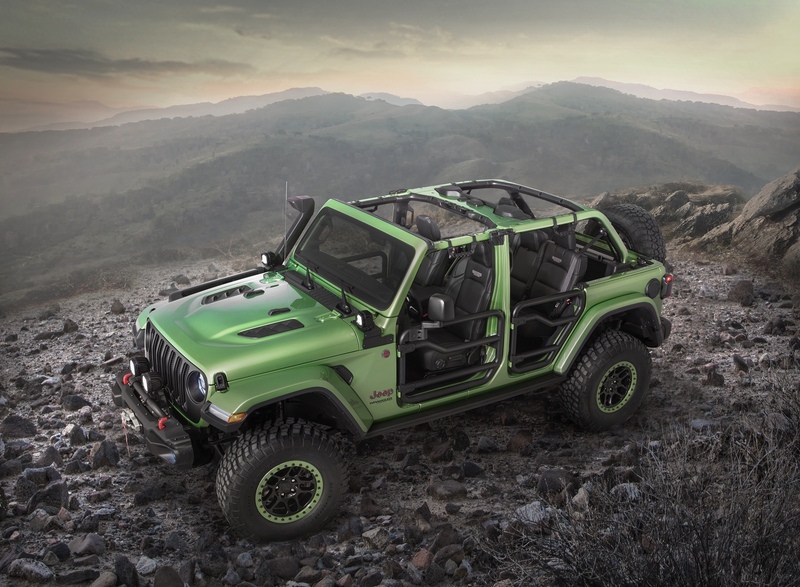 To no ones surprise, there aren’t any major updates for the 2016s with the next generation Wrangler on the horizon – due as a 2017 or 2018 model. Most importantly – two new colors have been confirmed: Rhino Mojave Sand and Hypergreen – let the color hunting begin! Jeep also confirmed the continuation of the Rubicon High Rock, Willys Wheeler and Freedom Edition Wranglers for 2016 without changes; as well as the newest special edition Jeep – the Black Bear Edition. Rubicon and Sport models will continue relatively unchanged, while Sahara gets a new logo and other updates. The addition of the Black Bear Edition isn’t really news since order sheets for the 2016 Wrangler were leaked a few weeks ago. Now official; we know that the Black Bear is based on the Sport S model and adds a heritage “Wrangler” hood decal, topographical Black Bear Pass trail hood decal, off-road rock rails, Satin Black grille, Mineral Gray bumper applique, standard premium Sunrider soft top or optional body-color hard top, 17-inch five-spoke black wheels with Silent Armor tires, and black tail lamp guards and fuel fill door. The Black Bear will be available in Billet Silver, Black, Bright White, Firecracker Red, Granite Crystal, Hydro Blue, Hypergreen, Rhino and Tank. The most exciting aspect of the new special edition is the availability of a color match top on a Sport based Wrangler. Sahara remains the premium trim level for Wrangler for 2016 and adds new appearance options including body-color bumper applique, modified 18-inch wheels with Granite Crystal painted pockets and polished surface, and modified “Sahara” logo. Additional design touches include high gloss fine silver metallic seven-slot grille throats and iconic headlamp rings, Satin Chrome steering wheel bezel, and Quick Silver grab handle, bezels and vent rings. The most exciting new option for Sahara however is the optional interior package featuring Olive Green leather seats with Cattle Tan accent stitching throughout. Who wouldn’t want olive drab leather seats, am I right? I’ll begin hunting new colors as usual once the 16s start hitting dealers.